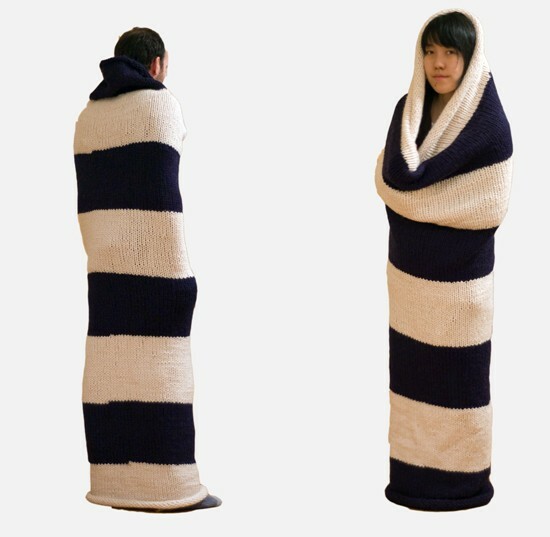 The Tube is hand-knit using eight skeins of yarn to produce a flexible cover for the human body. It is a single sleeve of uniform diameter; form-fitting, moving directly with the wearer. The soft shell keeps the inhabitant warm and comfortable yet slightly restrained, transforming their body into striped column.